The most interesting feature of this festive celebration, besides the traditional Katha and songs is, the vows that are taken to cultivate a new personal virtue/strength to enrich and enliven their family lives. 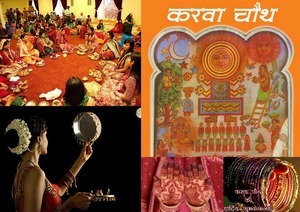 Puja will be conducted by Gayatri Parivar, MA. 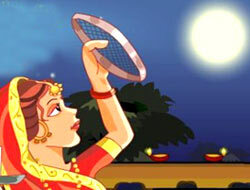 Please join in traditional puja of Karwa Chauth with your friends at Shri Dwarkamai Sai Temple. Don’t forget to bring your Puja thali. Treat yourself with soul- enthralling story and geets. And, also learn the significance and transformational/ inspirational message of the festival.